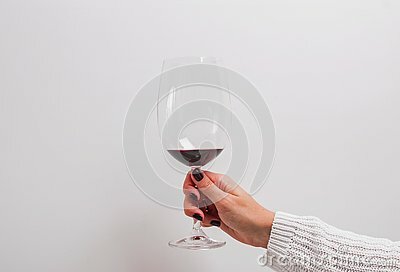 Woman`s hand in a white sweater holding a glass of red wine. Woman`s hand in a white sweater holding a glass of red wine. Minimalist concept.